Writinglikeastoner is a blog that speaks about many different things, or anything under the sun maintained by a Singaporean named after Nasri Nasir, but preferably called Stoner. The topics that I find myself blogging about is currently focused on life experiences, and digging deeper into the conscience of my mind to find what out what life lessons can be learnt through each stepping stone. Some other times, about random interesting news, events, technology, probably some other random topics with a ‘tinge’ of own personal comments. Enjoys reading about self-inspirational books during teenage years, I find myself in a lifelong journey trying to find the better meaning towards how to improve my life and be a better man at the same time figuring out what to do in my life. Having to be a part of the WordPress Post a day blog that posts about on about random prompts given my WordPress users, the blog that started out as just a random personal blog diary and now evolving into a more sharing oriented blog. 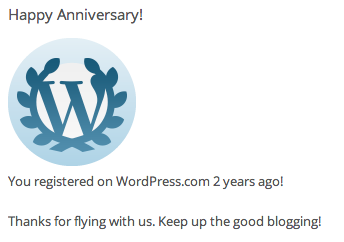 As 2 years gone passed since the start of the blog, it is has evolved with more sub categories. More insights on what’s new on the scene and what can be learnt, to look back on the blog and see, how the experience was. Why Stoner? – and the answer is no , i don’t smoke weed. I’ve been caught daydreaming most of the time, and my friends started saying, that I’m stoning, in my own world, staring into space, without realising someone talking to me, and so that’s how the name sticked to me. In fact, I’ve been thinking of changing it because it doesn’t really give a ‘standing’ impression, but I’ve got so used to it, i guess every time someone starts to ask, so you smoke weed, I’m going to have to say “Nah”. I’ve just nominated you for an award! Go check it out http://wp.me/pN3Y2-4U! I’ve to agree to that. I can still see the generations of people who’s still trying to chase their dreams despite the nature of where we’re living in. Even if they just find that its hard enough,with the right people and the right mindset, i believe its possible. Thanks for the advice Zoe!